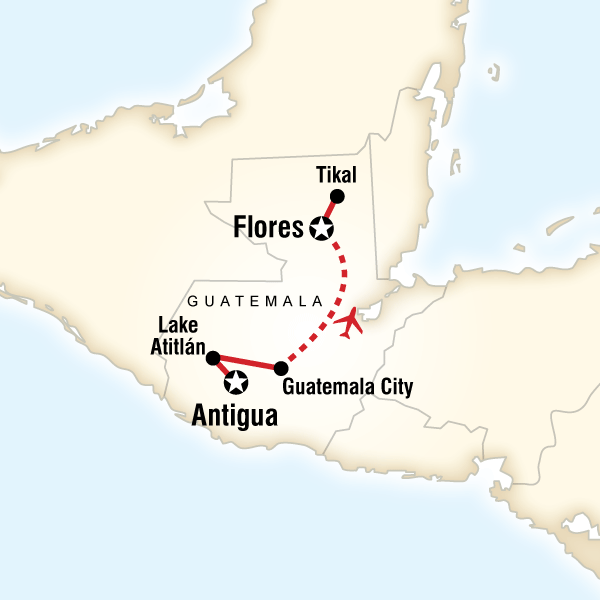 Your Journeys Highlight Moment: Antigua Historical Walk, Antigua Guatemala Your Journeys Highlight Moment: Lakeside Cooking Class, Flores Your G for Good Moment: Lake Atitlán Boat Ride and Community Visit, Lago de Atitlán Your Hands-On Moment: ChocoMuseo Tour and Workshop, Antigua Guatemala. Arrival transfer. Visit a chocolate museum and take a hands-on workshop. Boat ride around Lake Atitlán. 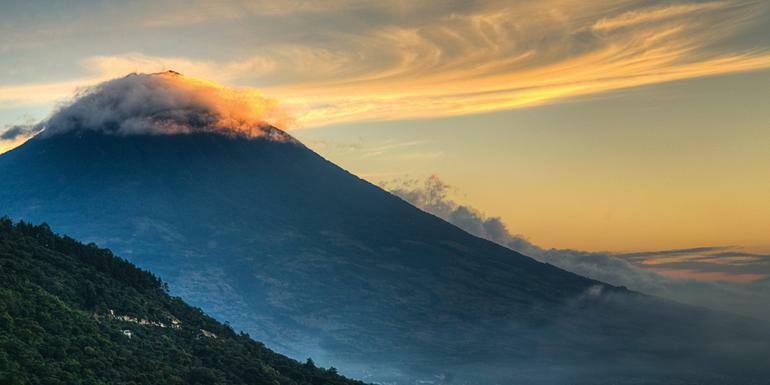 Visit the San Juan la Laguna community for a local Mayan lunch and a tree-planting ceremony. Visit small community co-ops for demonstrations of traditional arts and crafts. Guided cultural walking tour of Antigua. Cooking class. Guided tour of the ruins of Tikal. Internal flights. All transport between destinations and to/from included activities.